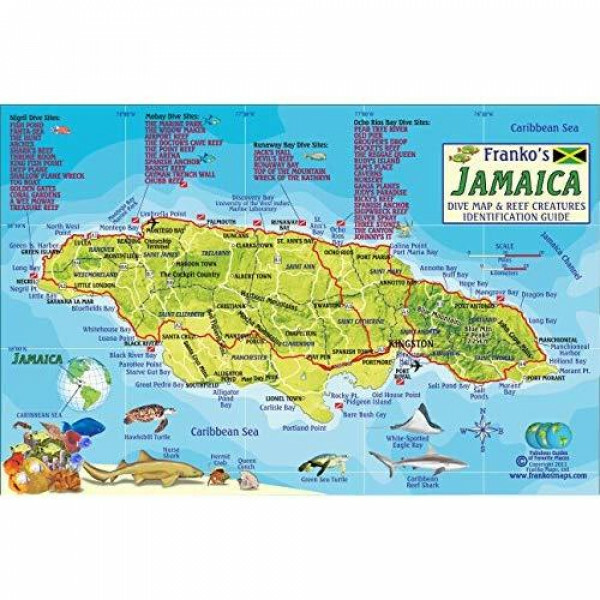 Perfect for divers, snorkelers and explorers! 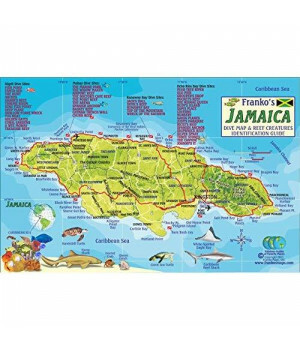 Side One is a mini-map of the wonderful island of Jamaica with more than 50 dive sites named and located. Side Two is a reef creatures identification guide with nearly 100 species illustrated and named. This convenient, waterproof reference is made of hard, laminated plastic with hole for lanyard. 5.5" x 8.5"